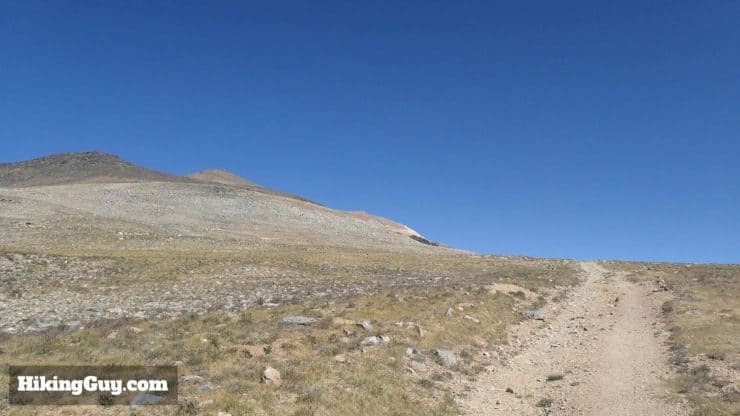 Hikers often call this the easiest 14,000+ (aka 14er) hike, but do not underestimate the hike to White Mountain Peak. 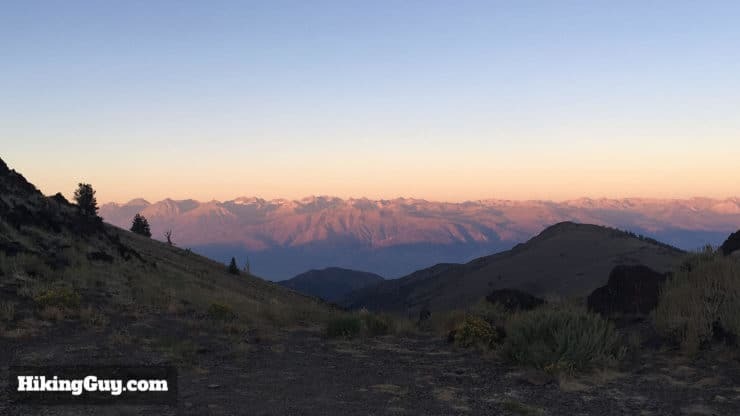 You have to deal with some of the same challenges that you would in the high Sierras, including extreme weather and altitude sickness. It’s great altitude prep to hike Mt Whitney. First, don’t confuse the White Mountains Wilderness (California) with White Mountain National Forest (which is in New England). The White Mountains Wilderness is part of Inyo National Forest, which also encompasses Mt Whitney. Getting that wrong will add about 3000 miles to your drive. 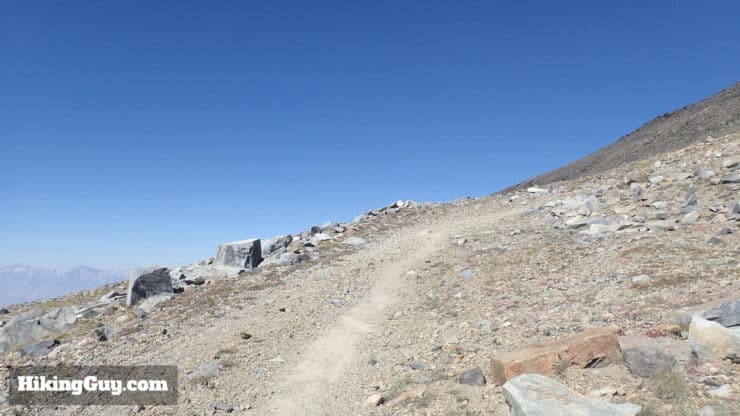 The trailhead address is: White Mountain Rd, Bishop, CA, 93514, USA. The drive to the trailhead is half the fun – the last 16 miles are on a dirt road called the Bristlecone Pine Forest Scenic Byway. It’s doable in a car, but you’ll enjoy it more in a high clearance vehicle. Beware of sharp stones, flats are common, and tow trucks are far away. It’s wise to stop at a gas station and pick up a can or two of fix-a-flat just in case. The scenery along the way is jaw-dropping. 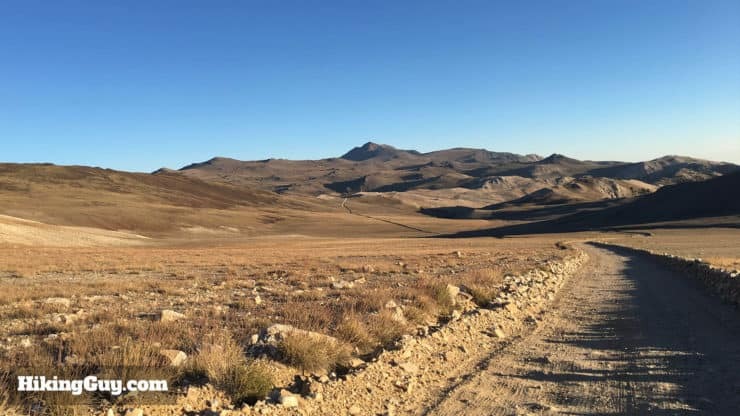 Plan on 60-90 minutes (one-way) to tackle the dirt road. The best route into the area is on Rt 168 to White Mountain Road. There are no facilities even remotely close to the trailhead, so make sure you fill your tank and stock up on supplies on Rt 395. The visitors center sometimes offers water for sale but does not have running water. 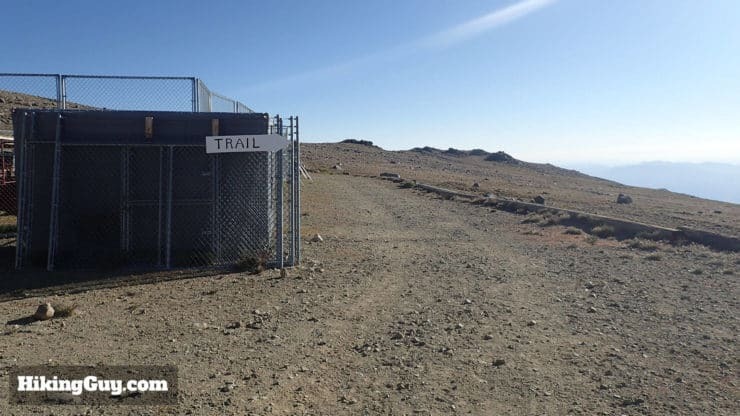 You don’t need a permit to hike White Mountain Peak or park at the trailhead (according to a call to the ranger office). I left my National Parks Pass on the dash, just in case. In the winter the road is not plowed and could be gated. If in doubt, call the ranger station and see what the deal is. 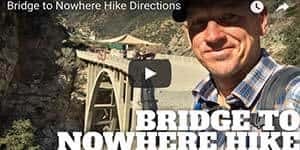 This hike is best attempted in the summer or early fall. If you want a great overview of the area, including the ancient bristlecone pine groves and campground, check out this map (thanks to website friend Ben W.!). 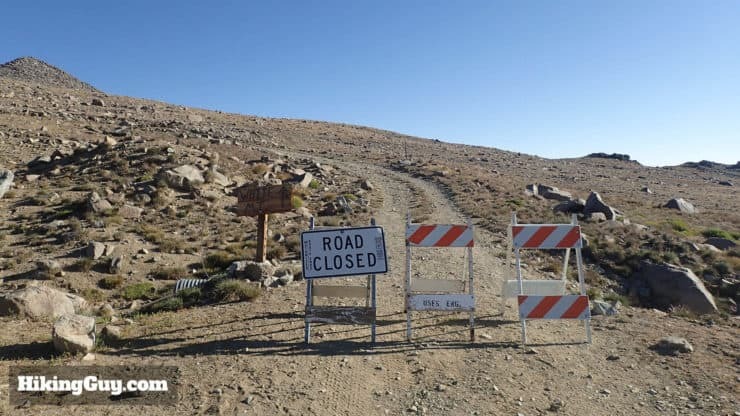 The first section of the drive into the park is paved until you get to Schulman Grove Visitor Center. There are a ton of overlooks as you drive up to the trailhead at 11680 feet. 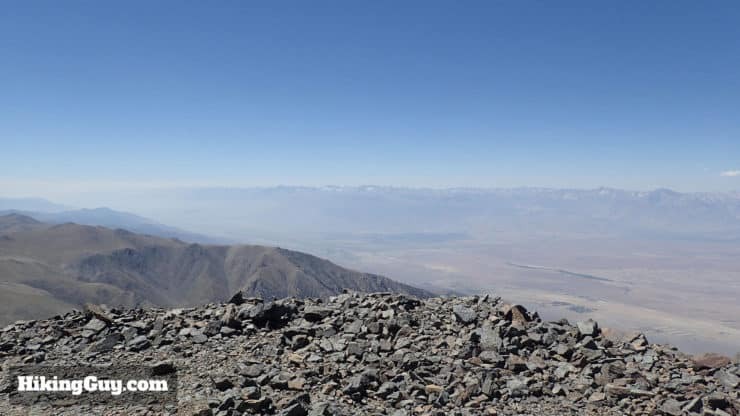 The White Mountains lie in between the Eastern Sierras and Death Valley, and offer great prominence and 360 views. 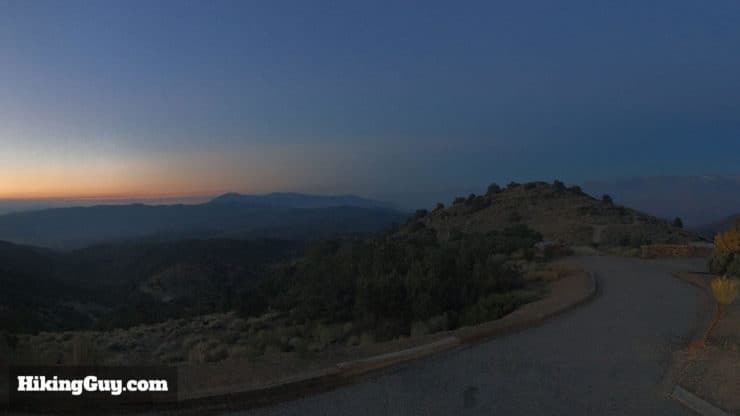 Here the sunrise is illuminating the Sierras, which you look straight across at, not up to. Keep your eyes open for wildlife. 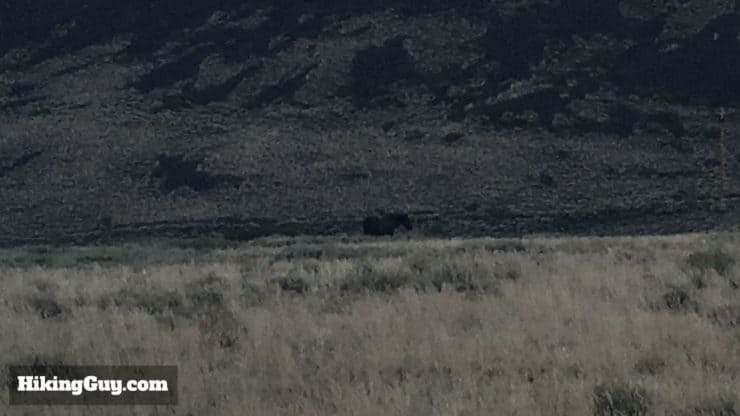 I saw dozens of mule dear and even a wild horse. The horse was a first for me here. Eventually White Mountain Peak will come into view, and you only have a few miles to the trailhead. You might have heard about marmots eating through car cables and hoses at the trailhead. The bad news is that this is a real thing. The good news is that according to the rangers it hasn’t happened in a few years (let me know if you hear otherwise). Evidently it occurs mainly in the spring, up until mid-July. 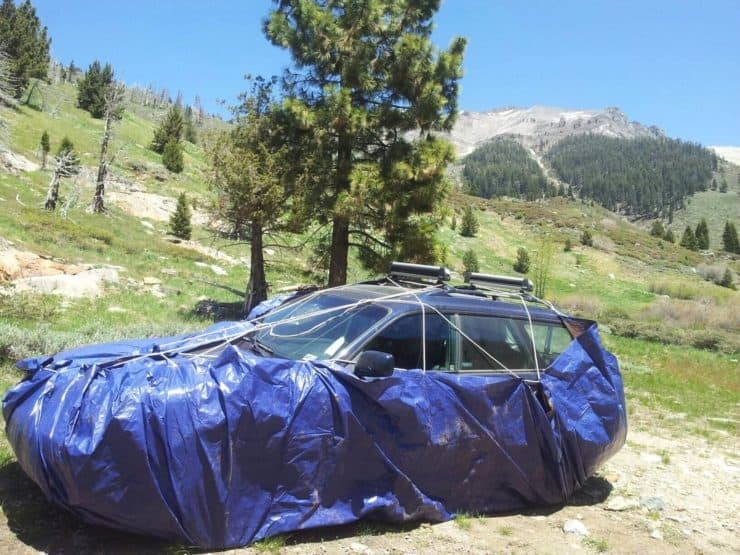 The NPS recommends you wrap a tarp around the bottom of your car. I’ve also heard rangers say that marmots can chew through tarps. I’ve never wrapped my car in a tarp and have been fine. And if you look at the cars at the Barcroft Research station, they are not wrapped. Usually the marmot damage is in the Mineral King area, Kings Canyon and Sequoia NP, and NOT on White Mountain. If you’re in doubt, call the ranger station and see what they recommend. There’s some basic camping and fire pits to the right of the trailhead. You can camp at the trailhead. It’s first-come, first-serve, and free. The area exposed, but there are some rocks and a gully you can shelter from the wind in. The campsite is primitive with a bathroom and some fire pits. Grab a campfire permit in Bishop or Lone Pine. 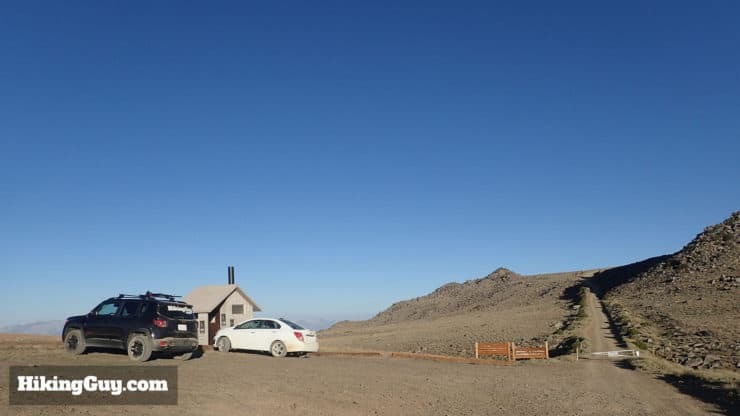 If you want something less primitive, you can try the Grandview campground which is on the road to White Mountain Peak, but pretty far away still. 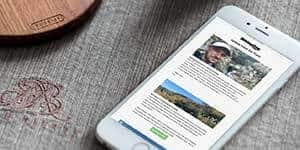 The Bristlecone Pine Forest Scenic Byway, which is the road to the trailhead, takes you past some Ancient Bristlecone Forest groves, the oldest living trees on earth. Some of the trees are up to 5000 years old, shaped and gnarled by thousands of years of wind and desert conditions. Get to the trailhead at sunrise and do the hike. 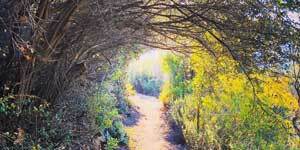 If you have some energy left, drive back and do the 4.4 mile hike at Schulman’s Grove. If you’re feeling wiped, just do a stop at one of the smaller groves along the drive back and have a look around on a self-guided nature walk. 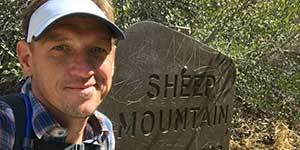 I generally do White Mountain Peak early, take a nap, and then do the hike at Schulman’s Grove. It’s a long day but I can’t get enough this area. 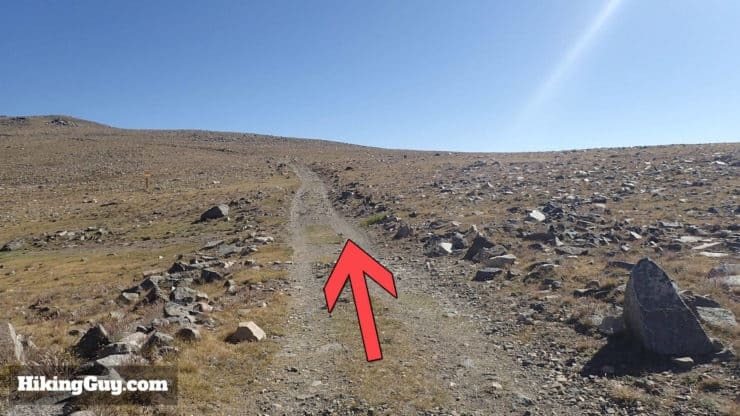 Although the trail isn’t technical and you go by some settlement, this is definitely a backcountry hike. You are miles away from almost everything and you should prepare for that. 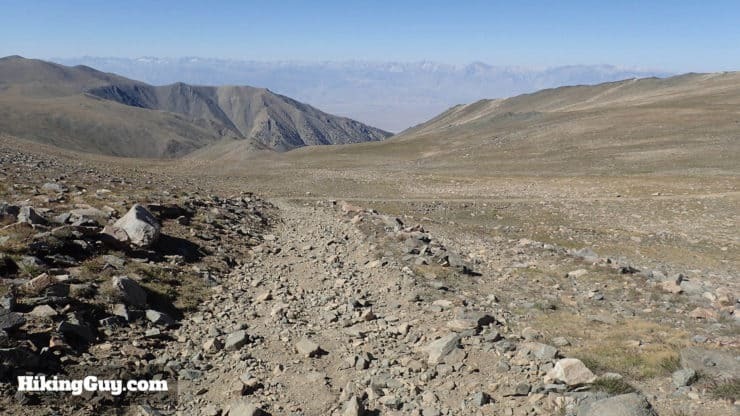 The climate on White Mountain Peak is that of a mountain desert. 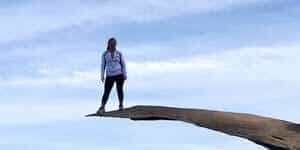 Winds can reach over 160mph, and there is no real cover to shelter in, as you are above the tree line for the entire hike. There can also be lightning if a storm passes through. If you see the weather deteriorating, just turn around. 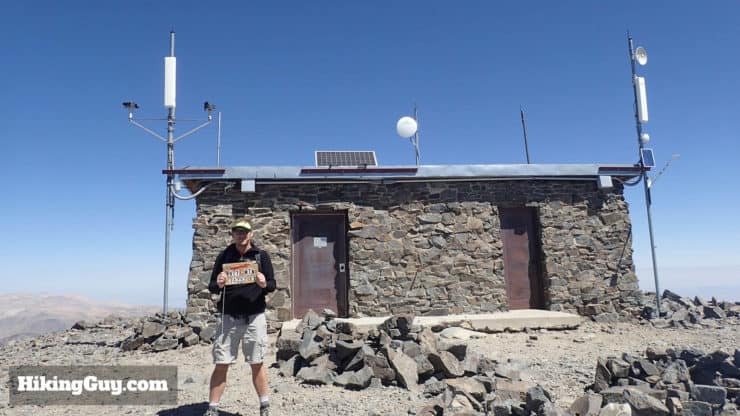 You can check the weather station at the summit for real-time conditions. 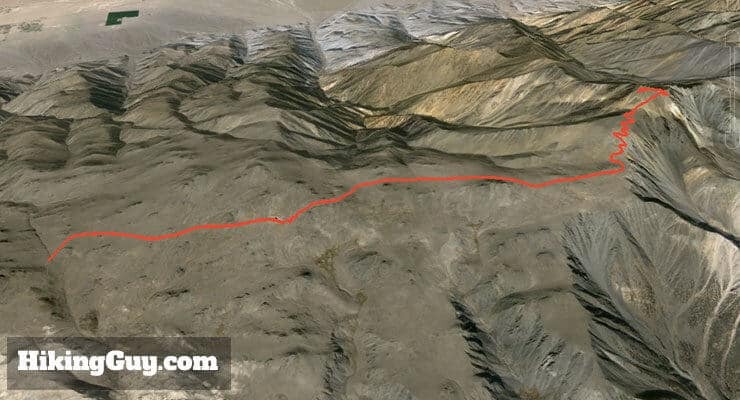 This guide follows the popular South Face route, which is a dirt / rock road, and not a pristine single-track. Don’t let this deter you, the hike is absolutely beautiful. 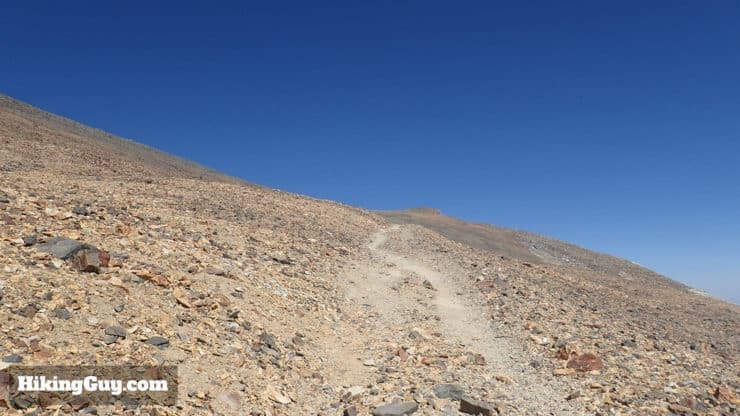 Although it’s only miles to the Eastern Sierra, it feels like you’re hiking on Mars. 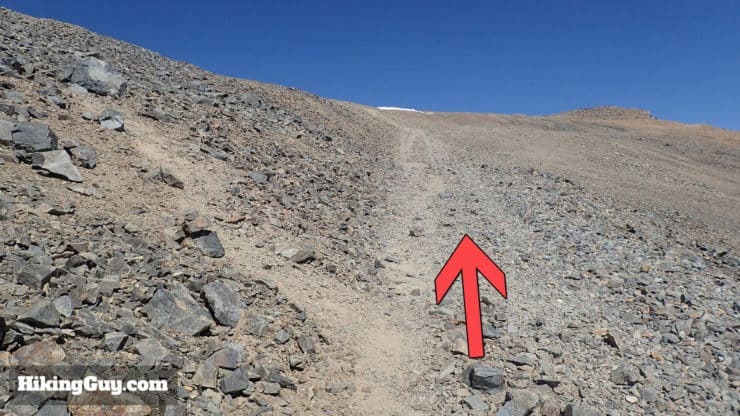 There’s also a 20 mile, 8000ft, Class 2 West Ridge route, which you shouldn’t even think about attempting unless you have serious mountaineering experience. 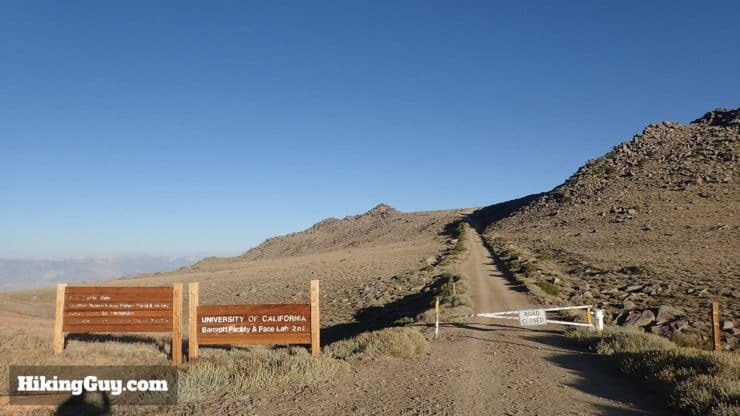 This trail also passes the highest research facility in North America, Barcroft Station, run by the University of California. The trail makes its way up toward White Mountain with some gradual climbing. The last stretch to the summit goes straight up. The prominence from the summit is great, with views 7000 feet down into the valley below. 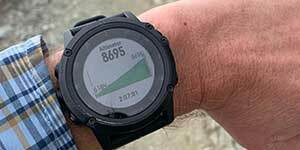 It’s only about 3600 feet of climbing up the extinct volcano of White Mountain, but the altitude will make it feel much harder. 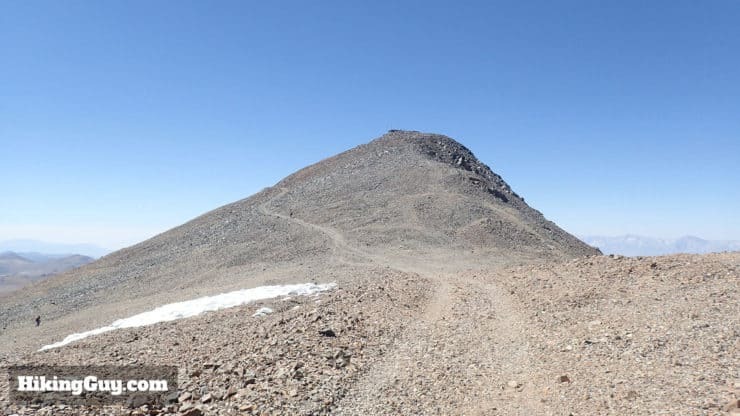 The hardest part of the hike is the last 2 miles or so, which go straight up to the summit. Save energy for the uphill sections on the way back. 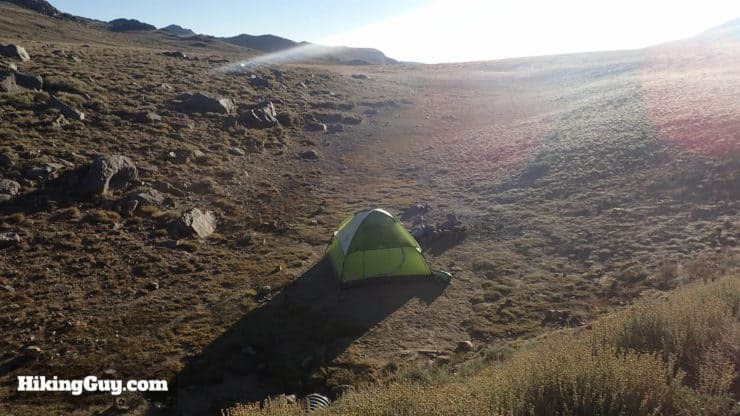 Before you start, remember that you are at altitude, and altitude sickness (AMS) can be deadly. 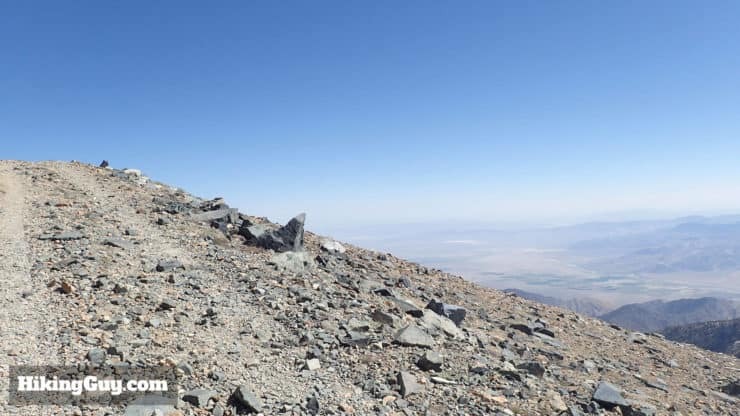 If you’re not familiar with how to handle AMS, read about it on my Mt Whitney hike post. There’s plenty of parking at the trailhead. You can also see the primitive bathroom. Start by hiking at the well-marked gate. The gate opens for traffic to the research station. The trail is easy to follow and climbs from the beginning. There really aren’t many side trails. Anything to the side that you see will likely be an animal run. 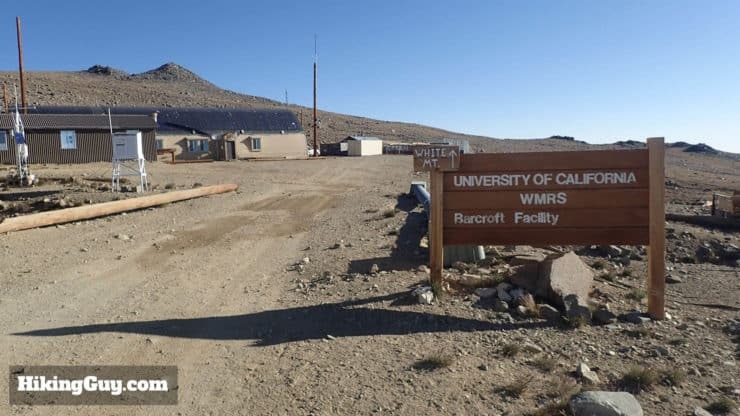 After about 2 miles, you’ll reach the University of California Barcroft Facility at 12,470 feet. 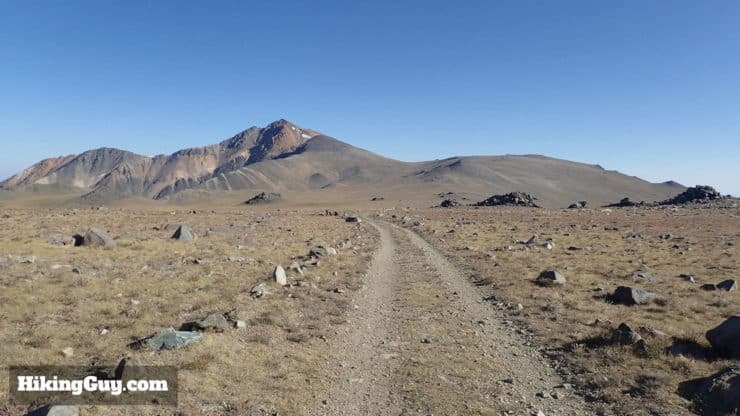 Just follow the main trail through the camp. The camp is full of experiments, instruments, and facilities for the researchers. It’s all private property, so steer clear. There are no public bathrooms or water sources here. 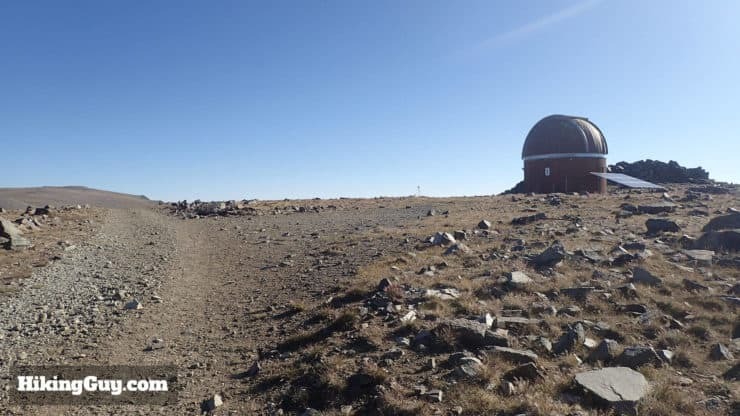 The trail to White Mountain Peak is marked well through the research facility. Keep your eyes open for marmots that try to eat food meant for the research livestock. At the end of the research facility there are some signs blocking the trail to traffic. Just go past the signs and keep hiking u the dirt road. The trail starts to climb again after the research facility. Shortly after that, you’ll reach Bancroft Observatory. After this the trail goes downhill for a stretch. After you pass the observatory, the trail is pretty level and you can get nice views of White Mountain Peak in the distance. Keep your eyes open for wildlife. 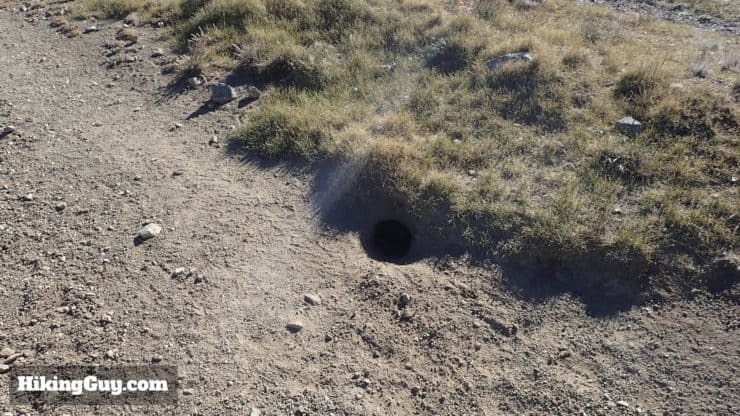 I saw a ton of marmots up here, and also saw some coyotes and hawks looking to eat them. Eventually the trail slopes upward again and you start to climb. Avoid any smaller side trails. 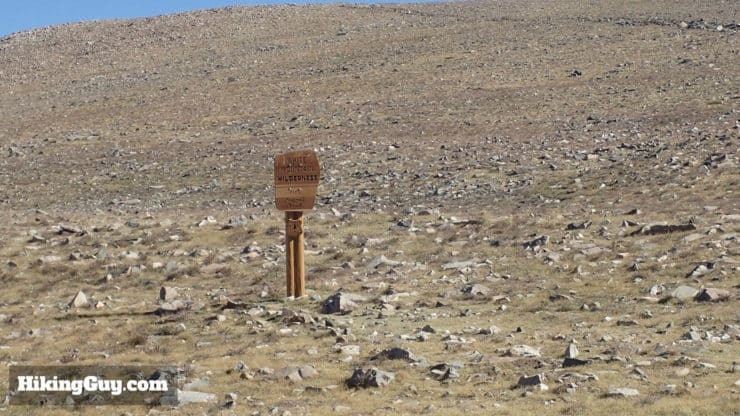 There’s a White Mountains Wilderness sign in the middle of nowhere, off to the left of the trail. As you approach the saddle, you’ll start to see the trail snake up to the summit in the distance. After the saddle there’s a steep downhill section. This will be painful on the way back, prepare yourself. 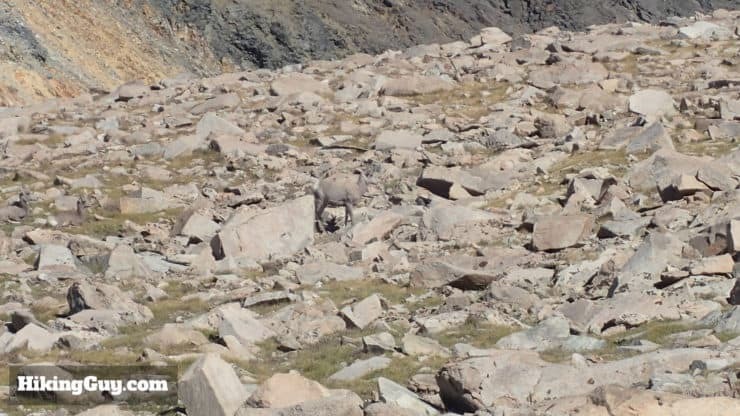 The bighorn sheep blend in well the terrain. Keep your eyes open, there are two herds that roam these parts. Okay, here’s the start of the business end of the hike. 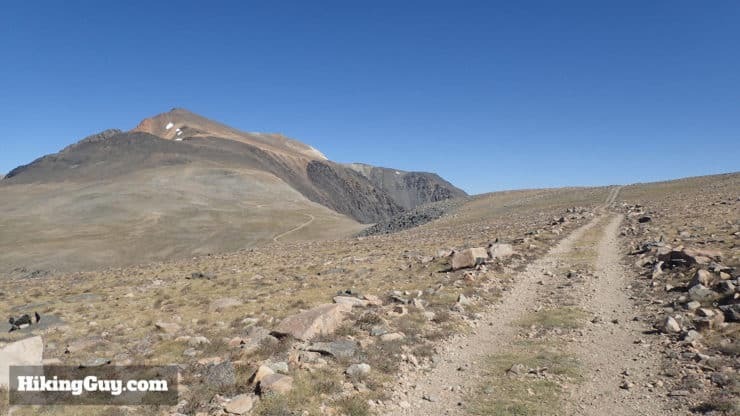 After the downhill, you start the last uphill stretch to the summit. 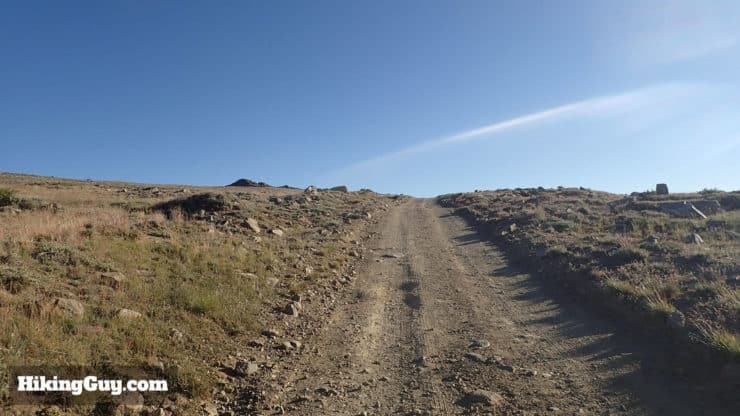 It’s still a dirt road, and it meanders up some switchbacks as you hike toward the summit. 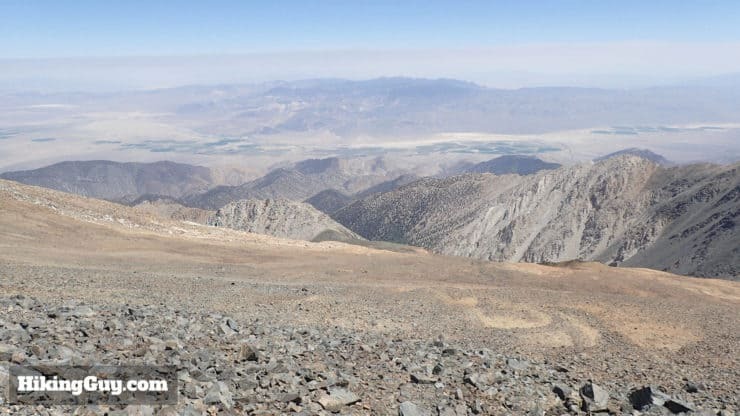 As the trail winds around the east side of the mountain, you’ll be able to get great views of the north into Nevada. It’s steep and you’re at altitude, so take your time and take plenty of breaks. If you have acute AMS symptoms, turn around and head back down. 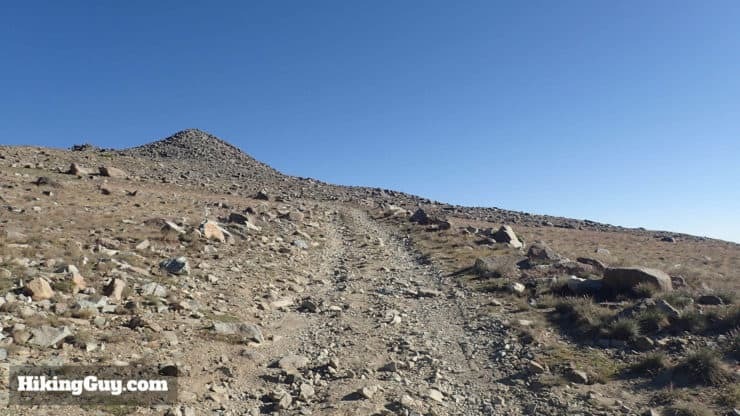 As you get closer to the summit, the trail heads north of the summit. 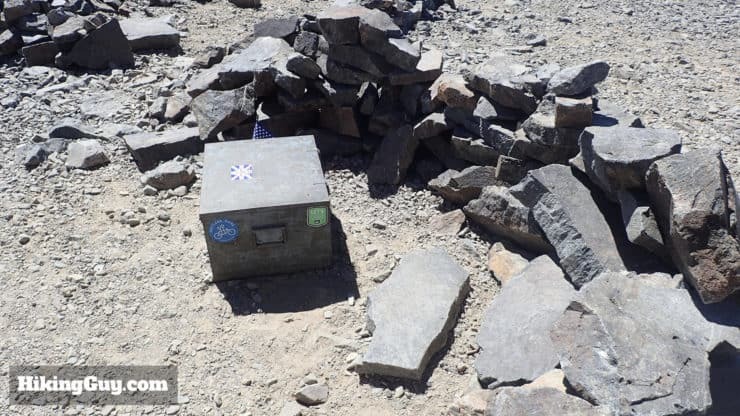 Avoid any of the shortcuts to the summit and leave no trace. Here you are, the summit! The stone shelter is there if you need to take refuge from the weather. I actually had great cell reception here, and was able to video call my wife. Who knew? Sign the trail register. There’s also some basic supplies in there in case you’re in bad shape. The views are incredible. To the west, you’ll be able to look straight across to the Sierras. To the east, you have Nevada and the peaks of Death Valley. From here, just head back the way you came and that’s the hike!